Rosie is a Vermont gal with a love of good food and farming. She has lived on many farms around New England and abroad in Italy, mainly working with livestock. 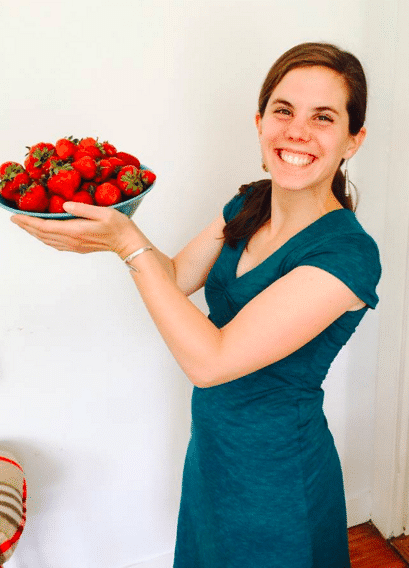 Rosie has been working with Kids Cooking Green for four years now and loves that every day and every student bring an entirely new perspective on food and eating to the class! Rosie moved back to VT in 2017, but still maintains a close connection with KCG. She will be returning to Kids Cooking Green for the Wilmington Summer Sizzler in June 2o18! She’s VERY excited!